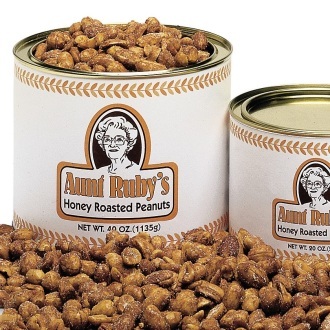 Shop for heart healthy peanuts at everyday low prices. Peanuts offer consumers some amazing health benefits such as weight loss, heart health, and dietary fiber. The healthiest peanuts are dry roasted unsalted variety. However, even chocolate covered peanuts pass on quite a few healthy benefits to those who enjoy them as snacks. Peanuts have been shown to aid in the reduction of cholesterol levels. 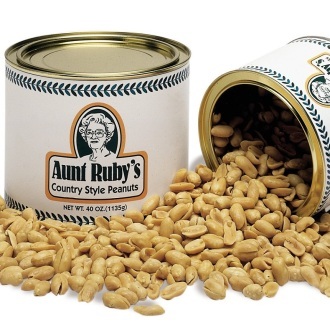 According to the Mayo Clinic eating 1.5 ounces of nuts, including peanuts help. The trick is to replace food items that contain saturated fat with nuts that are high in unsaturated fat. That means peanuts. 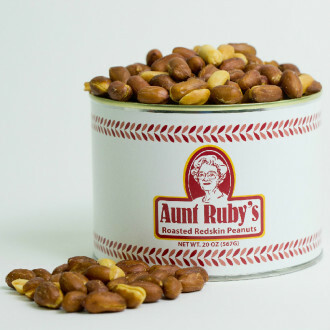 Forego the cheesecake and instead try chocolate covered peanuts. 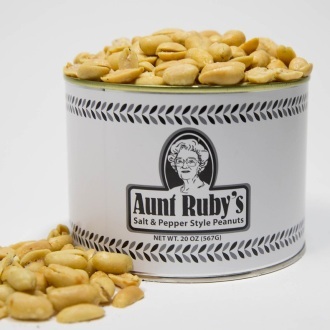 Remember that unsalted peanuts make a perfect snack and the best place to get unsalted, salted, and coated peanuts online is from Aunt Ruby's. 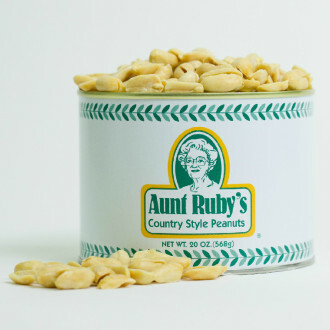 Healthy snack foods start with high-quality peanuts, and that is just what you get from Aunt Ruby's. 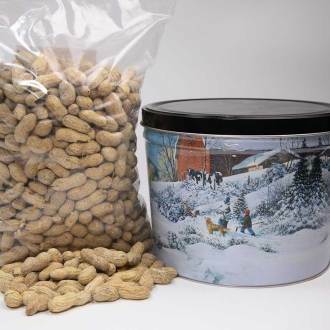 We have been in business since 1945 and have found a way to offer the best out-the-door prices and the highest quality peanuts to every one of our online peanut shoppers. Health and value — what could be better? 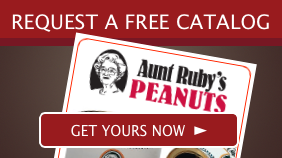 Aunt Ruby's offers peanuts online and the selection is awesome. 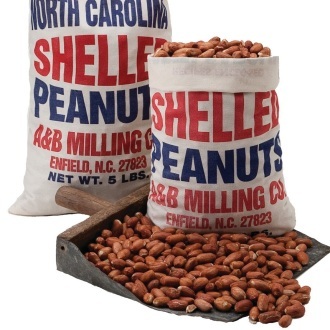 Country style, honey roasted, in the shell, shelled, salted, unsalted, or covered in chocolate — the selection is insane, and the prices confirm that. Milk chocolate adds vitamin A, and Vitamin K when mixed with peanuts. This salty and sweet peanut-chocolate perfection is available in clusters and as chocolate peanut crunch. If you love white chocolate, then hold onto your hats because the GaGa's White Chocolate Cashew Clusters are heavenly. White chocolate has been shown to reduce oxidation, and that means healthy beautiful skin. As with all sugary foods, moderation is the key. Save the sugary foods for dessert and go to town on the healthier variety of peanuts such as unsalted or even dry roasted. 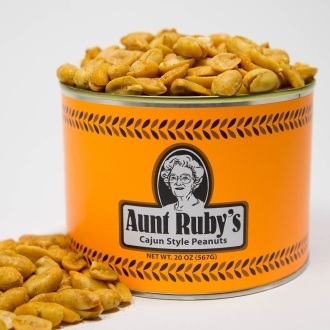 Check out our best-selling peanut items here where you will find snacks and health food for you, your family, and all of your friends.